We stopped here for just over night but immediately put it on our list of places worth another visit and a longer stay. If you are headed southeast, mark this as a place to consider. Bandit's Roost is the campground at W. Kerr Scott Reservoir, just west of Wilkesboro, NC (lat 36.123510 lon 81.246146). It is an Army Corps of Engineers reservoir. 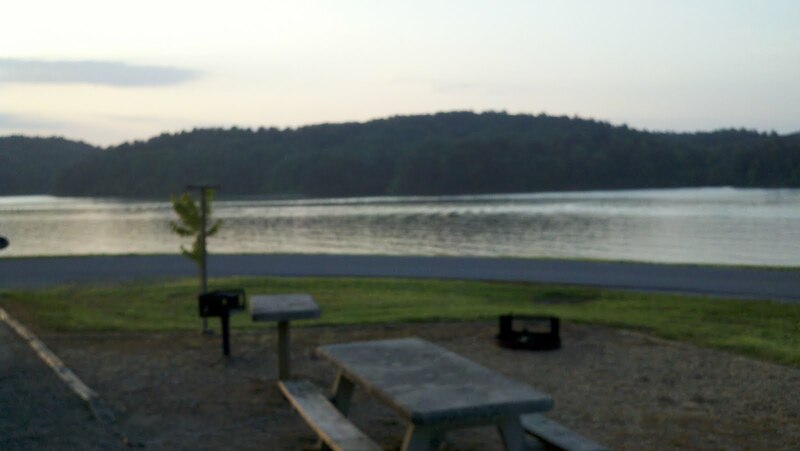 The campground is immaculate and the reservoir appears to have excellent fishing. It is 398 miles from Jamestown. The daily rate is $24. That became $12 with our Senior Pass. You can reserve camp sites through the National Recreation Reservation Service (877-444-6777) or on the web at www.recreation.gov. Attached pictures were all taken from the doorway of our Fifth Wheel.